All but two of the positions on the new Student Representative Board are uncontested, making Lisa Lana, ’14, the Board’s new President; Andrew London, ’14, the Board’s new Vice President; and Valerie Duchesneau, ’14, the new Director of Student Organizations. The only contested elections will be that for 1L Section 1 Representative and LLM Representative. There are 10 positions with no declared candidates: four 1L Section Representative positions, two 2L Representative positions, and four 3L Representative positions. Two 1L sections had only one declared candidate, making those positions uncontested. Only two students have declared their candidacy for the four positions of 2L Representative. The world is rapidly changing, and Harvard Law School must keep pace. Global flows of people, goods, and ideas, fueled by technological advances, are merging the local and the global. Harvard University is responding. President Drew Faust has on several occasions expressed her commitment to intensifying the internationalization of Harvard. Internationally trained academics are assuming leading positions at the University. Nitin Nohria, Dean of Harvard Business School, completed his chemical engineering and management training in India and the United States respectively. Harvard Law School is also changing. For the first time ever, over 10 percent of this year’s J.D. class comes from countries other than the United States. Formal partnerships, exchange programs and cross-institutional degree and diploma granting arrangements offer students and faculty unprecedented opportunities for global engagement. The “Globalization, Lawyers, and Emerging Economies” project led by the Program on the Legal Profession, the Institute for Global Law and Policy and a series of projects with Sciences Po Law School concerning transnational private law and Franco-American Legal influence afford students and faculty greater facility for global dialogue and networking. Unfortunately, our Law School has recently taken a huge step backwards. In early February, the current Student Government adopted a bylaw stating it now has a “default of not accepting applicants for student organizations that are based on national, state or regional identity or degree status.” The recent “sharp increase” in the number of student groups seeking such recognition is a natural consequence of the changing face of HLS. At the very moment this Law School should be fostering global student initiatives, Student Government has shut them down. Two arguments have been consistently raised in defense of this By-Law: one relating to resource limits and allocation, the other related to event overload. I will address each in turn. The first is essentially a floodgates argument. If students from every country or region represented at HLS decided to seek formal recognition as a student association, our current level of resources would not be sufficient to fund them all. Moreover, the recognition of new student organizations has been presented as a “zero sum game.” For every student organization recognized, the smaller the budget for each existing organization. First, the money issue. Of course, resources are limited. The question is whether the current allocation of funds for student organizations should be open to discussion, transparency, and possible amendment, particularly in view of some of Student Government’s other questionable expenditures. Moreover, most student organizations undertake their own fundraising initiatives. Student contacts with law firms and institutions from emerging regions that have not historically given to HLS represent an opportunity for more revenue, not less. The Global Legal Education Forum, for example, received significant financial support from Brazilian law firms and institutions as a result of student outreach. This situation can be a win-win for all, if we could only have the opportunity for our ideas to be heard. Moreover, much of what is involved in student association recognition is not financial, but simply institutional. You cannot book a room for more than 20 people, order catering or media services, design and print posters or create a student organization website without formal recognition. Without recognition, interested students must rely on ad hoc relationships with existing student organizations and attempt to coordinate logistics, funding, and communication through another Board. This is simply unworkable for any sustained series of events. The second argument asserts that there are already too many events taking place at the law school. Too many e-mails, posters and free pizza. Allowing more students to organize and develop initiatives will only flood our heads, schedules, and inboxes. How many events are “too many”? Maybe there are too many events overall, but not enough events for some causes and way too many for others. Who gets to decide? It should not be by Student Government fiat. Students should be incentivized to associate and engage in important and exciting projects, like those organized frequently by the Asia Law Society, Asian Pacific American Law Students Association, Southeast Asian Law Students Association, and African Law Association, to name a few. The problem of inbox flooding can be solved with different rules for the use of listservs. With the Wasserstein Caspersen Clinical building, physical space is no longer an issue. New technologies greatly increase the possibilities for pursuing global initiatives that reach beyond the law school. Certainly, the Law School should not adopt an “open gate” policy of granting immediate recognition to any proposed student organization. Clear criteria need to exist to help distinguish seriousness from opportunism, even if the boundaries may not always be clear. But, geographic affiliation or focus should not be an a priori disqualifier. Initiatives should be judged by their substantive merit and the seriousness of those behind it. And Student Government already has the capacity under current rules to review the activity level of student organizations and wind those down that have become inactive over time. I have recently worked with a team of students for over a year and a half to gain recognition for the Brazilian Studies Association. We experienced resistance from Student Government throughout, despite our commitment to pursuing a serious agenda of social, economic and legal engagement on issues of relevance to Brazil and the United States. We were eventually recognized, but the door was closed behind us. Two other serious and engaging student groups subsequently sought recognition with a regional focus and were apparently rejected. This is a step in the wrong direction. Legal education and the legal profession are changing. Global student associations provide all of us the opportunity to learn and engage across borders. We all benefit from this. The University is going global. The Law School is trying to keep up. The Student Government should do its part. Gustavo Ribeiro, S.J.D. candidate, is the President of the HLS Brazilian Studies Association. Lisa Kelly, S.J.D. Candidate, also contributed to this piece. When I first saw The Record story describing the Student Government equivalent of the Midnight Judges scandal (well, equivalent if President Adams had tried to appoint himself to Congress), I thought it had to be a mistake. Surely no HLS student could possibly fail to discern the two obvious lessons of the recent presidential election: (1) the student body wants transparency and change in Student Government and (2) the student body is sick of members of Student Government acting immaturely, as when the presidential candidates were hurling inane insults at each other. Contrary to all common sense, however, a note on the amendment apparently added by its drafter(s) reads, “expire Commencement 2012?,” suggesting that the amendment might only apply in this particular year for these particular people. This amendment would overrule an amendment dating back an entire month mandating that terms end on April 1. Let’s dispense quickly of the idea that the move is a Chavezian power grab. It’s far more puerile and obvious than that. At least Hugo Chavez had the decency to propose permanent changes to the Venezuelan constitution and manipulate an ostensibly democratic referendum to enact those changes. This modification of the Student Government constitution would be a one-off bit of chicanery, a bitter and blatant attempt to put one past the pococurante electorate. The very idea reeks of entitlement and disrespect for the electoral will of the student body. Indeed, HLS Student Government has slipped the surly bonds of reason and reached the stratospheric incompetence of an even pettier version of Chavezian dictatorship. At this rate of descent into stupidity, we’re mere days away from the Student Government KGB airbrushing Daniel Vargas from Student Government photographs and 1L Section Representatives being called upon to inform on their comrades’ dalliances with Gelfandism. I was very glad to hear that the amendments were voted down last night following the organization of a Facebook movement by the Gelfand campaign to bring attendees to the meeting to protest the measures. Then maybe we can put this absurd chapter of HLS history behind us and the next class can start rebuilding after the destructive electoral and constitutional shenanigans that constituted the true Parody of 2012. John Thorlin is a 3L. His column runs Thursdays. A series of amendments to Student Government’s Constitution have been proposed that, if passed, could extend some current members’ terms; mandate disclosure of bylaws, meeting minutes and attendance logs; and limit access to meetings, according to e-mails leaked to The Record. An anonymous source leaked the proposed amendments, accessible via hyperlink, to The Record. The amendments appeared to have been sent to Student Government members a little before 9 p.m. Tuesday night. 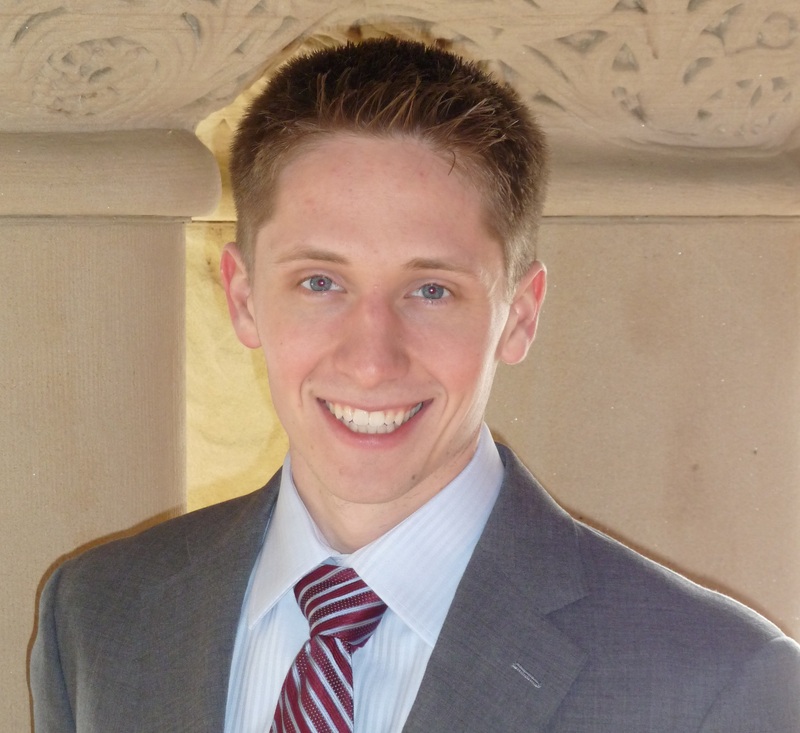 Although Matt Gelfand, Law ’12, was elected Student Government President, on March 7, his term, under the current Constitution, Article III, Section 1, does not start until April 1. The proposed amendment to Article IX, Section 1(6) would permit the current President and Vice President to “participate in Student Government Meetings as Emerita Board members” from April 1 to Commencement. If passed, this amendment could allow the current President and Vice President to, under Article X, Section 2(3), vote for or against bylaws and constitutional amendments even after Gelfand started his term as President. A note on that amendment apparently by its drafter reads, “expire Commencement 2012?” and “I don’t care as much about the last one, but am concerned about what will happen to unfinished projects and questions that arise that would suggest continued membership in some capacity would be helpful”. If the proposed amendment to Article II(B) is passed, current Directors would serve until Commencement, not April 1, as the current Constitution’s Article IV, Section 2 provides. A note, presumably by its drafter, reads, “so [a current Director] can oversee [Student Funding Board] proceedings, etc.” If passed, the amendment would revert Directors’ terms to their original pre-February 15 durations, with terms ending at Commencement. On February 15 of this year, however, a unanimous Student Government voted to amend the Constitution so that terms would end on April 1. The proposed amendment to Article IX, Section 2 provides that attendance records, meeting minutes, and amendments to the Constitution or Bylaws will be published on the website promptly. The General Body Meeting in which the proposed amendments are scheduled to be discussed is scheduled for Wednesday at 7:30 p.m. The Record attempted to contact members of Student Government whose names appeared on the proposed amendments at approximately 10:30 p.m. Tuesday night, but none commented on the record on the substance of the proposed amendments. The proposed amendments are accessible here. Names of students were redacted by The Record. Correction (3 p.m. March 21): A previous version of this article inaccurately stated that Student Government is scheduled to vote on the amendments Wednesday night. The proposals are scheduled to be discussed. For the first time in Harvard’s history, the Council of the Dean of Students recognized university-wide student groups for the 2011-2012 academic year. This followed a two-year effort by students making the case University-wide groups. While the deans were completely on-board and very supportive of the idea in principle, we faced significant obstacles common to a decentralized University with dispersed systems. The challenge was to make these systems work together without a central system in place to recognize and support such student collaboration, especially when it came to funding and the monitoring and dispersal of those funds. The Council agreed to recognize up to 10 groups for the inaugural pilot year: seven such groups were eventually recognized. The case we made to the Council was two-pronged: some groups of students (in this case from Pakistan) while present throughout schools, were not present in large enough numbers in any particular school to be able to form a sustainable group housed in that particular school and there are always lingering and pertinent questions of sustainability from one year to the next. The other prong of our case was that a country such as Pakistan that is faced with immense social, political and economic challenges and yet has deep reservoirs of resilience, needs students from across disciplines, both from the country as well as anyone interested in it and the region, to address and grapple with them in an integrated way from one platform. What’s truly immense is what we’ve been able to achieve and add to the academic community, both before we were officially recognized and this year— even while we have no clarity (whether we can reapply on the same terms next year; whether there has been an effort to develop the necessary administrative mechanisms whereby we’ll be allocated a stable budget; on what criteria will we have been deemed to be “successful” and whether or not there is internal thinking about whether the pilot will be extended). In short, the lack of clarity and ownership by any administrative Dean of Students school-based-type-entity has been immense. So what are the initiatives and collaborations we’ve contributed to during our pilot year? We recently collaborated with the Women’s Law Association and Southeast Asian Law Students Association along with a group at the College and Harvard Kennedy School to screen the very powerful Bol (Speak), a film about gender equality and diversity, population and religious issues in Pakistan. We had more than 60 attendees and a conversation following the screening led by one of the actresses in the film, a Harvard College undergrad; Professor Noah Feldman helped us host Pakistan’s Ambassador to the U.N. along with Michael Semple, a fellow at the Carr Center at HKS and an expert on Afghanistan and the Taliban at a standing-room-only event. We co-hosted along with another University-wide student group, the Harvard India Student Group, SAI and the Program on the Legal Profession, the visit of the former President of India, Dr. Abdul Kalam. If we can be so active and collaborative without a working budget (given the effort needed to find money on an event-by-event basis) imagine how much more productive we would be and be able to add to the overall academic and social life of the graduate schools, the College, and the University as a whole if a the Office of the President took us in or the Council and the Office of the Provost developed a mechanism to house and fund us? If there is an administrative concern that there will be no end to the groups that will demand recognition, an annual cap could be put in place accompanied by a mechanism by which non-active groups could be put in hibernation or at some point in the future, de-recognized. The important point to recognize is that it is often those with particular concerns who are most able to shine light on a particular thing—and once they do that they can collaborate with others. In short, if there is goodwill and commitment to making One Harvard a reality—an initiative intended to recognize the diversity of our backgrounds and to build in inclusive University—practical solutions can be found. We need your help to speak to your student representatives and to Dean of Students to let them know that students from all backgrounds need their support to enable conversations and develop academic collaborations that will matter for an increasingly globalized legal profession. Erum Sattar, S.J.D. candidate, is the Vice President of Organizational Development of the Harvard Pakistan Student Group, one of seven groups recognized as a University-wide student group in the program’s pilot year. The Student Government Election started out small. But by the time it was over, it had turned into a huge circus with people waving signs, handing out cookies, displaying videos, writing letters, submitting emergency motions to disclose minutes, and pasting stickers on willing bystanders. But when the dust settled, an unexpected result emerged: the 3L candidate, “the Joker” had won against the two more “serious” tickets. How did this happen? First a little background: There were three tickets for student government: Shah/Chinsky (the Establishment Ticket), Vargas/Lai (the Insurgency), and Gelfand/Roberts (the Joker.) The Joker campaigned on a promise to fix certain procedural difficulties with the Constitution and after fixing these problems, to resign. So why did the Joker win? 1. Why so serious? As the election intensified, many people asked, “When did this get so intense? Why is everyone so worked up?” People want someone who cares, but not too intensely. They recognize that you have to care more than them, and they will tolerate a higher level of interest, as long as it is manageable—sort of like being interested in a quirky hobby. Moderate intensity is permitted, but actual intensity is frowned upon. Both Establishment and Insurgency made this mistake—taking their campaign and the election itself too seriously. The Joker straddled this line well, simply by virtue of running a joke campaign (not too intense) but caring enough (he was running). 2. “What does Student Government do exactly?” This is the key question I heard over and over again. In a student government election, you have to get people to vote—but first you have to educate them about what it actually does. In this situation, the right answer is: we hand out drink tickets at Pub Nights and we provide money to student organizations, which allows them to provide you with free lunches. At this moment, the student could say, “Yeah, I think I have,” and the Establishment develops a bond with her and could talk about how awesome the events were, how great it was to hand out tickets, etc. The Insurgency Ticket lacked this particular advantage but their answer should have been the same: “I would love to hand you a drink ticket if I can get through this pesky election thing. By the way, I think we should reallocate money in large amounts to the better funding of drink tickets.” By not having been in charge of events that occurred, Insurgency Ticket could commiserate with anyone who thinks the events didn’t go well, while promising to adopt those suggestions and hand out more drink tickets. 3. Know your audience. Neither the Establishment Ticket nor the Insurgency Ticket had their finger on the student pulse. The Establishment Ticket wasn’t able to highlight their successes in putting on events that students enjoyed because they were responding to accusations about all sorts of other things. The Insurgency Ticket was doing a great job of muddying the message of Establishment Ticket, but failed to focus their message to the primary electorate, J.D. Candidates. See, the head of Insurgency Ticket was an S.J.D., and the passion of an S.J.D. is legal education because that’s the field they are going into. This is great; no one opposes thinking about legal education. But people don’t vote based on it. Insurgency Ticket promised to create a vibrant forum to discuss the future direction of global legal education as it applied to…and by this time, most students had tuned out. 5. Keep it simple and cookies! Both the Establishment Ticket and the Insurgency Ticket made the process too complicated. The Establishment Ticket released a double-sided, single-spaced, 9-inch-font letter to respond to a bunch of accusations in eleven points. Insurgency Ticket made a video and had campaign posters with lots of little words in tiny font. The Joker, by contrast, made a poster that said, “Win. Fix. Resign.” Simple enough. If Student Government elections are about improving the welfare of the student body and we can’t get rid of elections, then maybe our best possible fix is to try and improve the institutional design by ensuring all campaigns bring cookies into the mix—because hey, who doesn’t like cookies? David Husband is a 2L. The views in opinion articles, columns, and letters do not necessarily reflect the views of The Harvard Law Record. The comments posted on this Website are solely the opinions of the posters. Well, that was certainly the most entertaining Student Government election I’ve ever witnessed. Before getting to my main point, I first want to take a second to thank the candidates for running. I am sure that the last couple days have been very stressful for all involved, but this election was definitely an alembic that generated the highest ever level of interest in Student Government. Now that I’ve said all the nice stuff, on to the melodramatic insanity of the four day campaign. I came into class in Austin North on Monday to find a flyer suggesting that former Presidential Candidate Daniel Vargas, S.J.D. Candidate, had poor attendance at Student Government meetings. Not to be outdone, Vargas himself handed me a flyer on my way back from class claiming that his opponent, Rachna Shah, Law ’13, had voted for discriminatory policies. Claiming that an HLS student voted against diversity is like claiming that a third grader voted against Santa Claus. Having been at HLS for three years, I can say with reasonable certainty that no one here is hot for segregation. Without giving any sort of context regarding what the precise issue at hand was, it’s flat-out bizarre to say someone is against diversity. As for the attendance canard, that attack called to mind the partisan complaints about how often President Barack Obama goes golfing. Do we really think someone who went through the trouble of campaigning won’t show up for the job? Are we to believe that a President Vargas would skip Student Government meetings once he’s seated upon the HLS throne? I don’t think negative campaigning is always a bad thing. Sometimes an electoral opponent has actually done something wrong that should inform our judgment of his wisdom or character. But the attacks in this Student Government election played to some of the public’s worst stereotypes of HLS students as dissembling mercenaries who lack any sense of decency or common sense. Just ask Above the Law. To be sure, the election is a victory for President-elect and 3L Matt Gelfand’s reform agenda, and I wish him the best of luck in constitutionally mandating transparency for Student Government (and, er, in choosing who the actual President will be next year). However, I suspect that a good chunk of the student electorate was simply repelled by the spectacle of the two other candidates pettifogging over personal attacks and rebuttals. 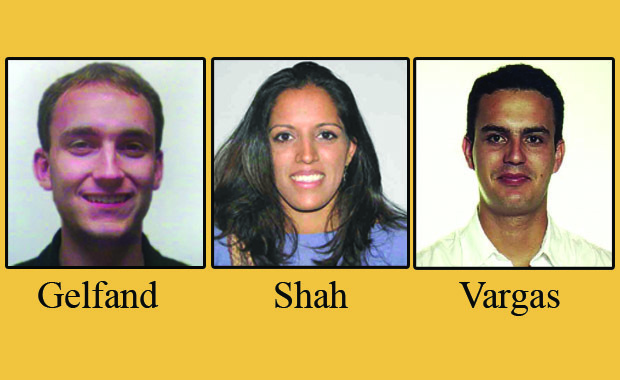 Update (1:29 p.m, March 7, 2012): Student Government elections have proceeded as scheduled. No sanctions were issued at this morning’s meeting against any candidate. According to an anonymous source, Student Government earlier today received a request for a stay of the election, which was scheduled to begin at 9 a.m Wednesday. The request was accompanied by a complaint alleging candidates Daniel Vargas, LLM ’06, S.J.D. Candidate, and Judy Lai, Law ’13, violated Section III.1 of the Student Government Election Bylaws, which provides, “Candidates must act in a responsible and ethical manner.” President of Student Government Skyler Cho, in accordance with Section III.2.2 of the Student Government Election Bylaws, stating “As soon as practicable, the President, Vice President, the complainant, and the alleged violators will be invited to meet with the Dean of Students,” invited Presidential Candidate and current Vice President Rachna Shah, Law ’13, and Vargas and their respective running mates to meet with him and Dean of Students Ellen Cosgrove at 8:30 a.m Wednesday, the morning voting is presently scheduled to take place. Student Government released its minutes and attendance record Tuesday at 4 p.m., approximately eight hours after Rachna Shah, Law ’13, Vice President and candidate for President, e-mailed an emergency motion for disclosure to Student Government members. The October 19, 2011 General Body Meeting Minutes suggest that Student Government has a budget of $20,000. The minutes read: “What is our funding? $20,000”. According to Dean of Students Ellen Cosgrove, who was interviewed by The Record in early January, this year’s total annual budget for student organizations, is $187,000. “The life of the law has not been logic; it has been experience.” Oliver Wendell Holmes Jr. could very well be talking about law school life in general, and not just judging. If for nothing else, the formative years of legal education and training in law school are crucial in shaping the way we will emerge as advocates, judges, teachers and policymakers. But those years in law school are not just about what we learn inside the classroom, but also what we experience outside of it. This is why all law schools, including Harvard Law School, make it a part of their mission to create a rich, vibrant and diverse student life which will complement its formal academic offerings. It is rather ironic that a law school, proudly touted by its former dean and now Supreme Court Justice Elena Kagan as the New York City of law schools, is enforcing a rule contrary to the spirit of that characterization. This default position against identity-based groups blatantly curtails the freedom of students to associate and to express themselves in a rich and meaningful way. In addition, the lack of transparency and hearing involved in the adoption and implementation of these rules makes one wonder if being in a law school, where one supposedly learns about fairness and justice, makes any difference at all. What is more disturbing however are the underlying fears behind these rules. Is it a fear of the creeping internationalization of the school? What makes the Georgia Club more acceptable than an Taiwanese Students Club? Or what makes an SJD students association more problematic than the Transfer Students Association? One common denominator here is the international component of these “troubling” groups. Are these signs of an incipient xenophobia at HLS? Identity groups, whether based on nationality, degree, ethnicity or religion, should be welcomed, rather than discouraged. For one, certain experiences are made only meaningful within the context of a community. There are good reasons why we encourage expressive associations in school such as the Muslim Law Students Association and the Federalist Society. All law students need to be exposed to a spectrum of ideas and social forces as part of their education. Moreover, it is not beyond logic to understand that a graduate student association would have different needs and aspirations than J.D. student groups or a transfer student group. Second, these groups are more than just the sum of their parts. These groups qua groups make the school a livelier and a more dynamic place to learn and experience new things. This is not a call for a balkanization of the school. If the issue is about the scarcity of funds to be allocated to student groups, then the proper response is to institute stringent rules which ensure that groups are not idle and that they actually contribute something to student and intellectual life. The solution, in other words, is to hold all groups accountable to their stated mission and objectives, terminating their recognition should they fall short of particular standards, and not to arbitrarily prevent new groups from being created. In the same way that the numerous ethnic enclaves enrich, rather than impoverish New York City, we should see identity groups in HLS in a similar manner. After all, everybody identifies themselves as Harvard Law students. HLS should celebrate that diversity rather than shun it. Anna Su is an S.J.D. candidate. For disclosure: Since we owe a debt of gratitude to our fellow students for, you know, voting to give us a line on our resume, we should probably at least tell them what we’re spending their money on. Against disclosure: Not too many people have asked for the information, so why should we? Besides, people would unfairly criticize Student Government if they knew how Student Government spends its funds. Admittedly, I’m something of a textualist when it comes to statutory interpretation, but I would welcome an explanation from a Living Constitutionalist on how “facilitat[ing] communication” came to mean “getting off our duffs and telling people what we’re spending their money on if enough of them raise a fuss.” Of course, a judicial pragmatist might point out that we shouldn’t expect too much communication from an organization that hasn’t updated its blog in either four months or two years or depending on, er, which blog is actually theirs. I didn’t agitate for a bushel of emails about Pub Night, but the archive folder of my downtrodden Gmail account can testify that Student Government has no reticence about initiating those communications. Why can’t the elders at Student Government show a little initiative and send us its budget without forcing us students to raise an army to storm their meeting first? I promise I will not consider it a solecism for Student Government to operate transparently even when the student body politic doesn’t demand it. With the blatantly unconstitutional apathy excuse swatted aside, let’s talk about excuse number two. I realize that many HLS students think little of the ability of average U.S.citizens to do things like read a credit card agreement or make their own decisions on health insurance, but I didn’t realize that this kind of paternalistic arrogance extended to fellow students. A message to Student Government: I’m probably the most tight-fisted killjoy at the Law Schooland even I won’t call for your resignation if you buy yourselves some Sprite Zero for your meetings. I realize that the majority of HLS students lean left politically and so this anti-budget sentiment might just be an expression of solidarity with the Democratic leadership of the U.S. Senate, but let’s be serious for a moment. A member of a supposedly representative government who votes against disclosing that government’s budget to his constituents does not deserve even a sprat line on a resume. I’m not asking for Student Government’s nuclear launch codes, the sordid details of HLS presidential elections, or proof that Simon Greenleaf was actually a clever pseudonym for Captain Planet. I just think that whenever you’re spending other people’s money, you owe it to them to tell them what you’re spending it on.